Gingered Cran-Raspberry Sorbet - Chocolate Chocolate and More! Gingered Cran-Raspberry Sorbet is low in sugar so you don’t need to feel guilty about this holiday indulgence! Serve it as dessert or in between courses as a palate cleanser. I wanted something light to go with our Thanksgiving feast. I love all the traditional Thanksgiving dishes but there’s a point when I feel like the blueberry girl in Charlie and the Chocolate Factory. 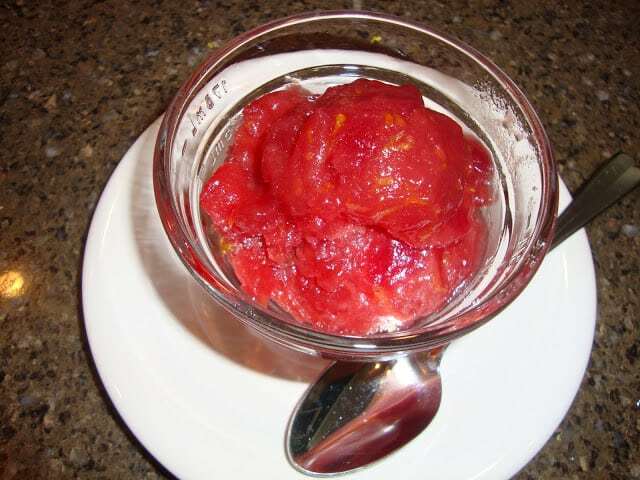 Gingered cran-raspberry sorbet really fits the bill as a light flavorful side. It’s a great addition to our Thanksgiving this year. Sorbets are mostly fruit so they are low in sugar. This means I can have more if I want right? Gingered Cran-Raspberry Sorbet only has 1/4 cup sugar for 1 quart of sorbet! The French and Italians serve sorbets between courses as a palate cleanser. I’m all for inserting a little dessert in my dinner. Gingered Cran-Raspberry Sorbet gets its tartness from cranberries and its sweetness from the raspberries. The ginger gives it a little added flavor and ginger helps digestion. You can serve gingered cran-raspberry sorbet just before the main course or before dessert or between desserts. If you’re going to use this as a palate cleanser, each guest only gets a small scoop (you could serve it in shot glasses). The goal isn’t to fill up on the sorbet but to get ready for the next course. This recipe is really simple. Everything goes into a pot on the stove to boil for a few minutes to soften the cranberries. Then puree the mixture and put it through a sieve to get rid of the raspberry seeds. Freeze in an ice-cream freezer and you’re ready. Gingered Cran-Raspberry Sorbet also makes fun drinks for Thanksgiving. 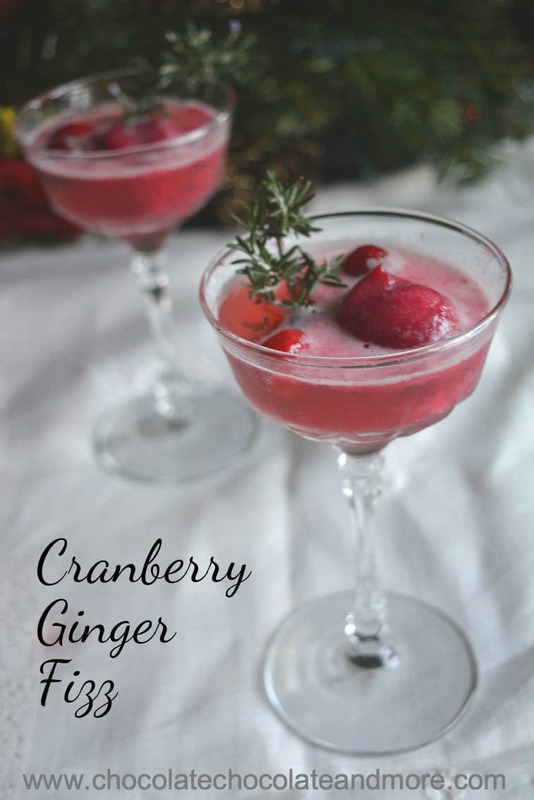 Put a scoop of Gingered Cran-Raspberry sorbet in a small glass of ginger ale or sparkling apple juice for a fun kids drink. Or, put a small scoop in some Prosecco for a great adult drink. Pulse mixture in a food processor or blender until pureed. Put mixture through a sieve to remove raspberry seeds. Cool 2 hours or overnight. Freeze mixture according to your ice-cream maker’s instructions. Serve immediately or store in an airtight container in the freezer. Thaw about 15 minutes before serving. Looking for more frozen delights? Yum, Gail! I have also done a sorbet to serve at Thanksgiving, with cranberries, vanilla extract and lemon juice. I love ginger and raspberries so will have to try yours this year. 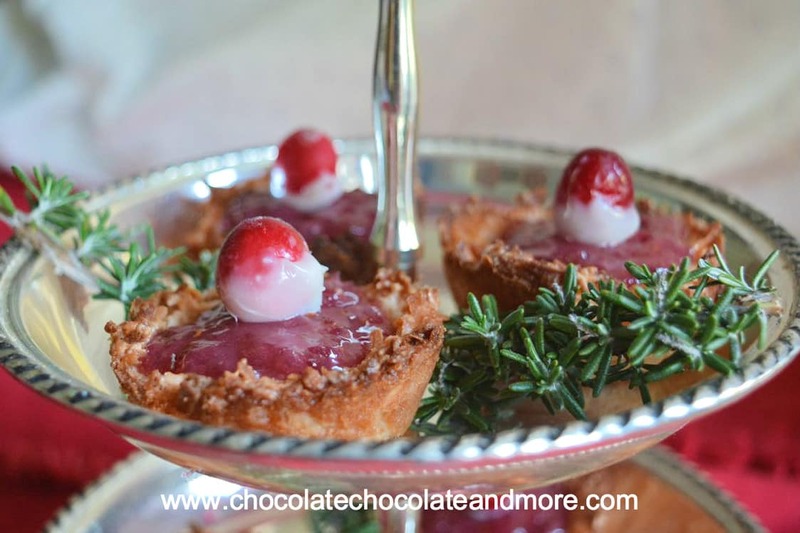 It will be the perfect dessert to take to an appetizer and dessert party in December. Have a great Thanksgiving! I’m going to have to try yours too. I hope you enjoy this one. I couldn’t believe how easy it was.